A reboot of this blog, of my writing, of my mentality around sharing content and experiences. 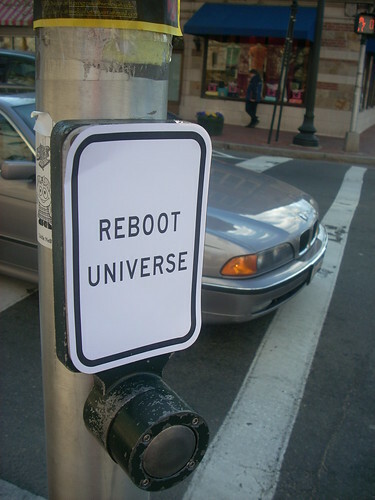 A reboot means many things with your computer. It’s more than just turning it off and turning it back on. It clears out the buffers, the memory and essentially takes out the trash so you can start fresh. Over the last year plus, I’ve built up a lot of mental and emotional trash which has kept me from writing here. Recently I realized that I was letting my own worries, depression, and impostor syndrome get in the way of what I enjoy doing – sharing my thoughts on sales and business in the Postmodern era. When I was young in my sales career on the car lot one of my managers nicknamed me based on my enthusiasm and presence on the lot, “The Chris Conrey Show” which immediately got shortened to “The Show” and in that way that only teams that spend 80 hours a week together can, the name stuck both as a positive and negative reference. I embraced it and really bought into what that represented: I was there to host people, not sell them. It’s time to get The Show back on the air.